The Mid-Illini Jeepers are a Central-Illinois based not-for-profit club for Jeep owners. The club meets the first Saturday of every month at Avanti’s in Pekin during the winter, and holds cruise-ins at various area restaurants during the summer. We also have at least one trail ride or other get-together every month. 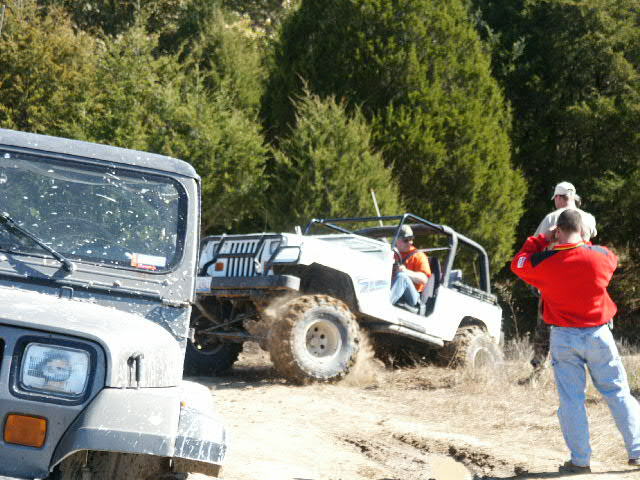 Many of the members take their Jeeps off-road but it is not a requirement. The parks we go to usually have a wide variety of difficulty levels on their trails so even stock vehicles can have a good time. If you’re thinking of joining, we invite you to come to a meeting to meet some of the members, look at our rides and see what we’re all about. Or stop by the forum and strike up a conversation. In order to become a member, you must own a vehicle which is titled as a Jeep (see the bylaws for more information). Family or individual memberships are $30 per year and are pro-rated for new members who join mid-year. ® Jeep is a registered trademark of the Daimler-Chrysler Corporation. All copyrights acknowledged.